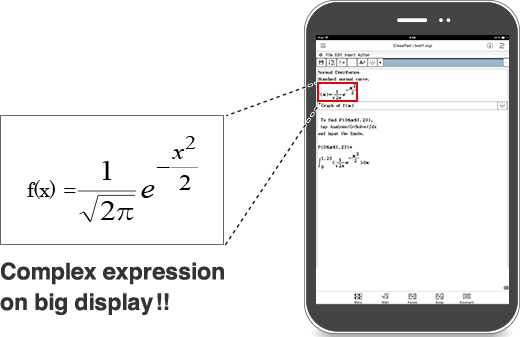 1Learning efficiency increases because even complex expressions can be easily viewed and studied on big displays such as tablet screens. 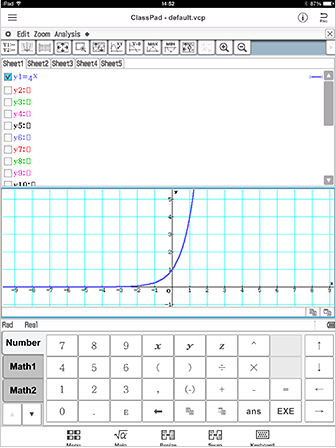 In school, on the way to school. 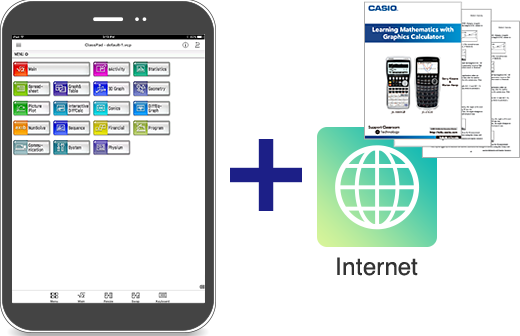 3You can access the Internet and easily get any information you need for the effective app use, such as learning materials, how-to-use guides etc. 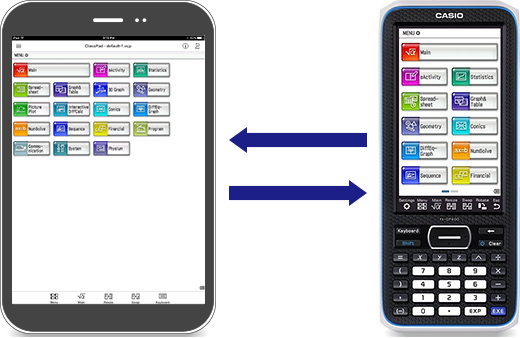 4App is compatible with all functions and operations of fx-CP400, so you can seamlessly switch between app and calculator. 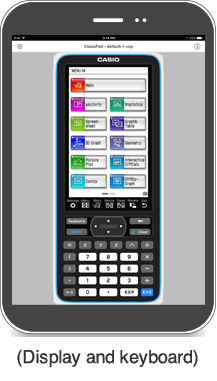 5Allows operations that make the best use of tablet functionality, such as electrostatic touch panel and high speed operation CPU, etc. 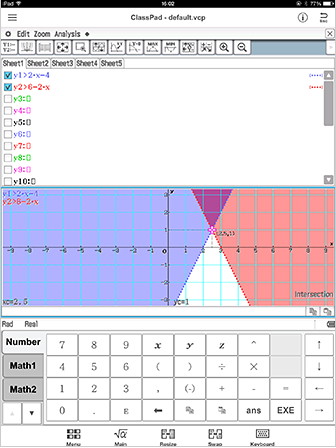 Best App for studying Mathematics!! 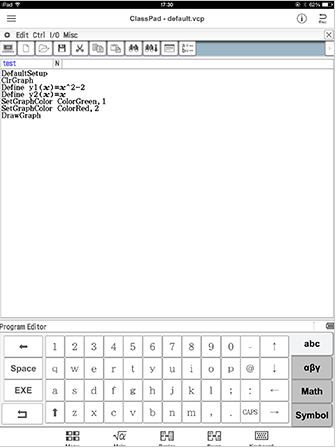 Choose this mode when you want to use app on a bigger screen. 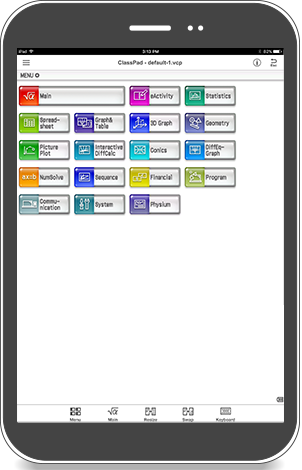 App will be displayed on the full screen of mobile devices. 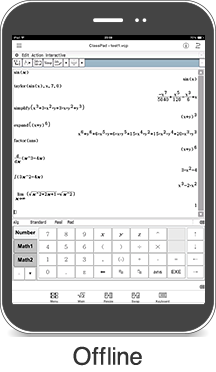 You can use this mode when you want to use app with the same feeling as a handheld calculator. 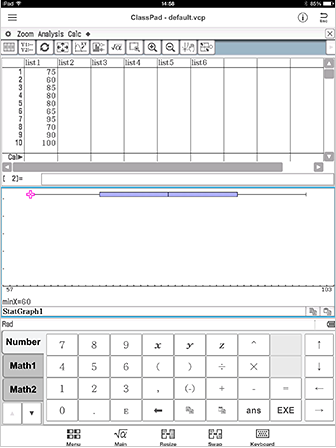 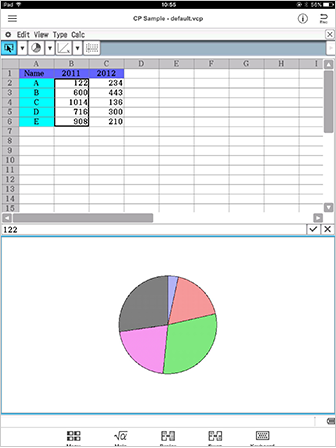 In this mode both viewing window and keyboard are displayed on the screen, as if you were looking at an actual calculator. 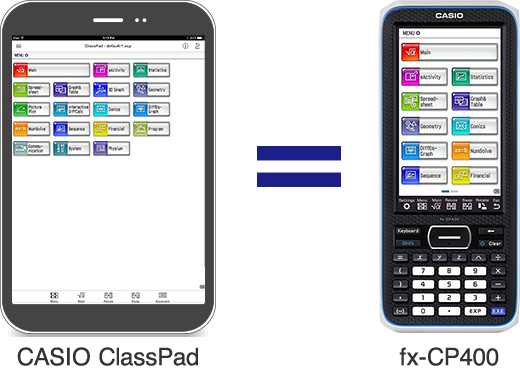 There are two types of CASIO ClassPad (Free version and Subscription version). 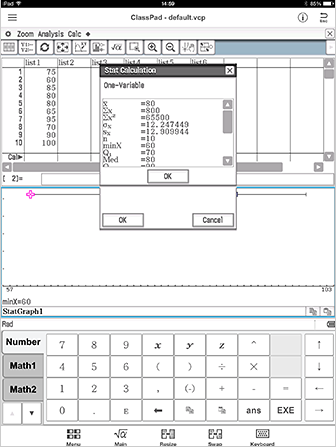 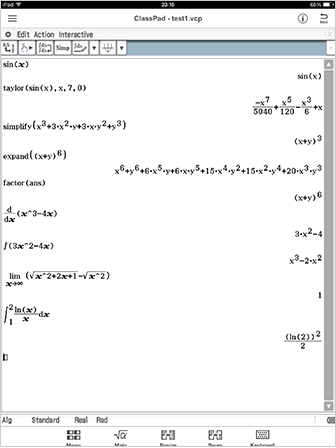 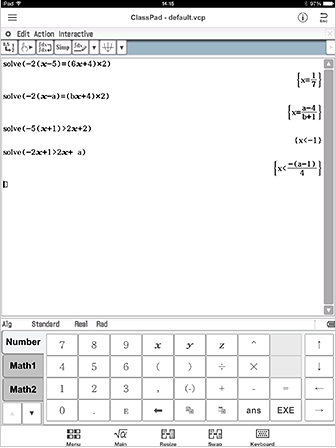 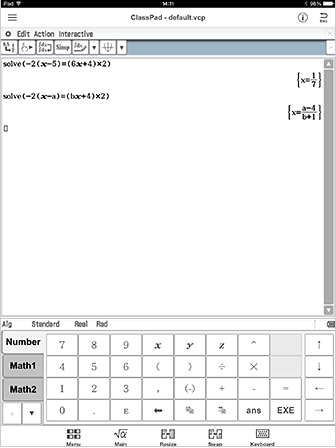 You can use CASIO ClassPad free of charge. 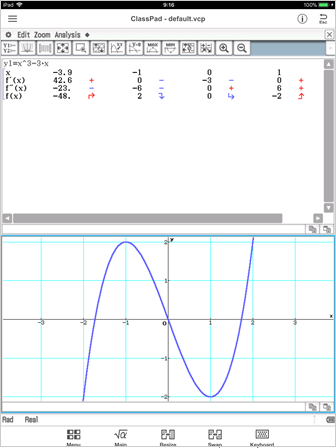 The free version allows you to use functions such as basic calculations, graphs, and statistics, suitable for basic course of high school. 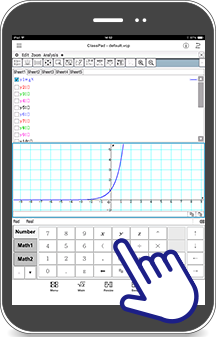 Experience the marvelous functions of CASIO ClassPad. 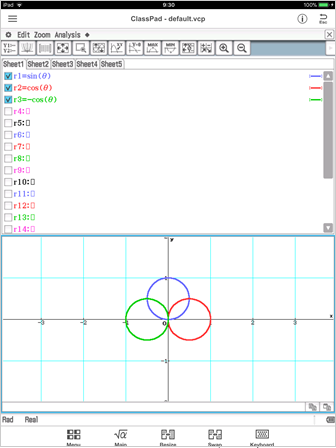 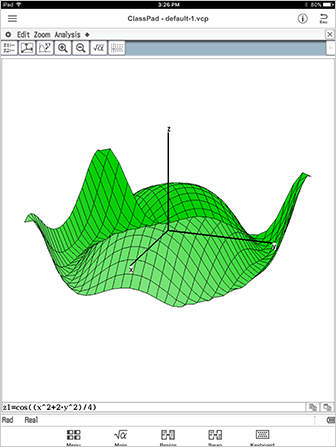 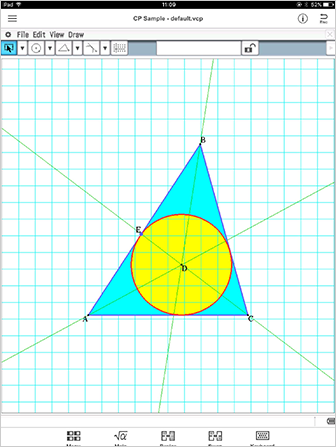 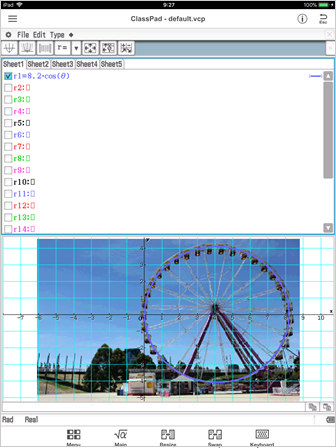 Subscription version provides advanced functions such as Spreadsheet, Geometry and 3D Graph. 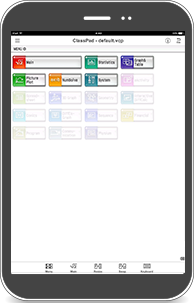 Experience the extensive functions of ClassPad on mobile devices in school & at home. 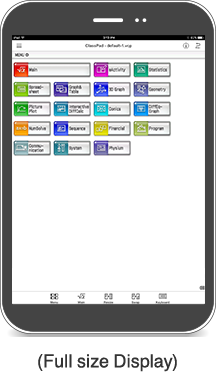 OS Update, Add-in, Support Software and others can be downloaded. 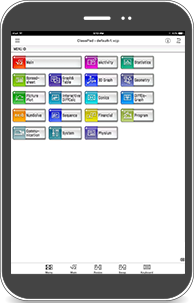 English Español Deutsch Français Português 中文-中国 Italian Nederlands Norsk Svenska Suomi العربية Русский Select a language.